, and have yourself the perfect Jamaica vacation wedding! That’s right, there is nothing more relaxing and enjoyable than taking the stress out of your traditional wedding and booking a Jamaica wedding package. Our wedding package in Jamaica are the perfect way for you to enjoy fun in the sun, warm tropical weather and white sand beaches that seem to stretch for miles. The crystal clear warm waters and colorful sunsets are enough to see why so many couples make their destination weddings Jamaica. A Jamaica wedding package takes the stress out of planning. A wedding package in Jamaica gives you the chance to enjoy yourself and avoid all the hassle and tension caused by traditional services. Plus, a Jamaica vacation wedding gives you and yours the opportunity to not only have a beautiful wedding, but a great, and well deserved, vacation. 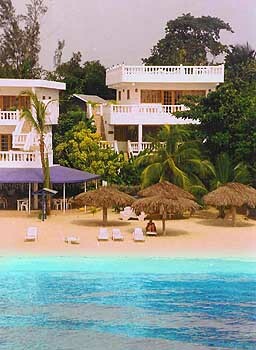 It is no mystery why the Beach House Villas are a great destination wedding Jamaica.